Designed by architect William Kenyon for Wadsworth and Ida Williams in 1931, the home has known only three owners durings its life. Mr. Williams was born in 1875 in Cambridge, Massachusetts, moving to Minnesota in the late 1890’s to attend Carleton College in Northfield, graduating in 1900. 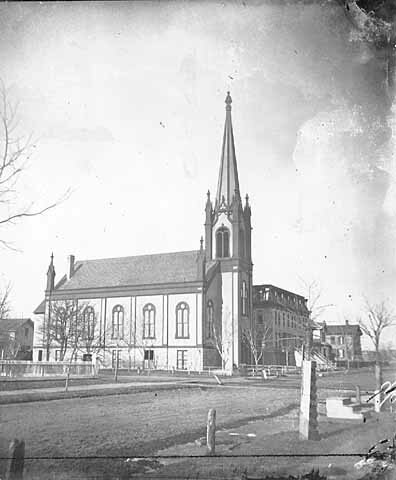 At the time, Carleton College did not offer specific degrees, thus Wadsworth graduated with a study in Classics. (He later served on Carleton’s Board of Trustees from 1937-1959, and in the early 1960’s his widow, Mrs. Ida Bourne Williams, made a gift to Carleton for the creation of a Chair in Economics as a “perpetual memory” to her husband – the Wadsworth A. Williams Professor of Economics.) Fifteen years after graduation, at the onset of World War I, Williams was a working as a clerk for the banking and investment firm Wells & Dickey Company. Decades later he had worked his way up to become Vice President of the company. According to a descendant of the family, the “home was built during the depression to create jobs for people who could both learn and build a beautiful, highly crafted home to lift everyone’s spirits at a time of great struggle”. 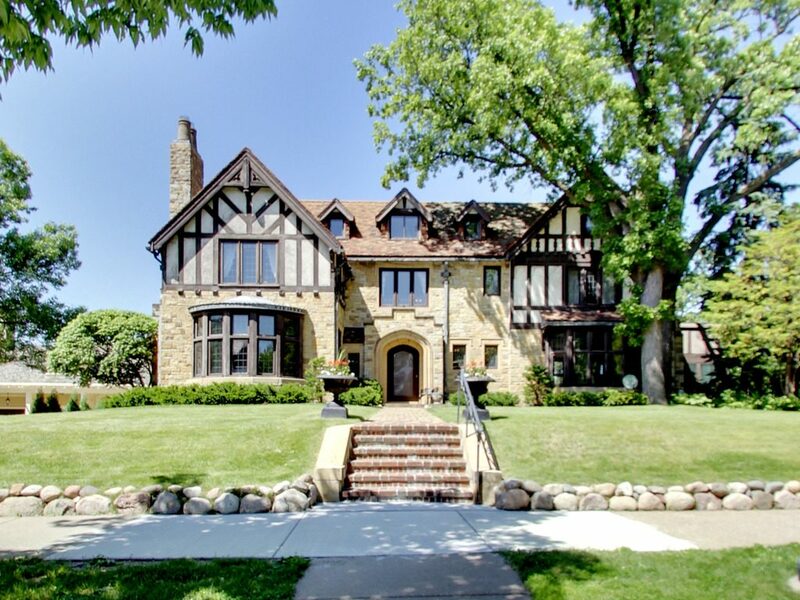 What they created was a fantastic example of the Tudor Revival style in stone, stucco, and half-timbered design and clearly showcases the excellent craftsmanship of the era. 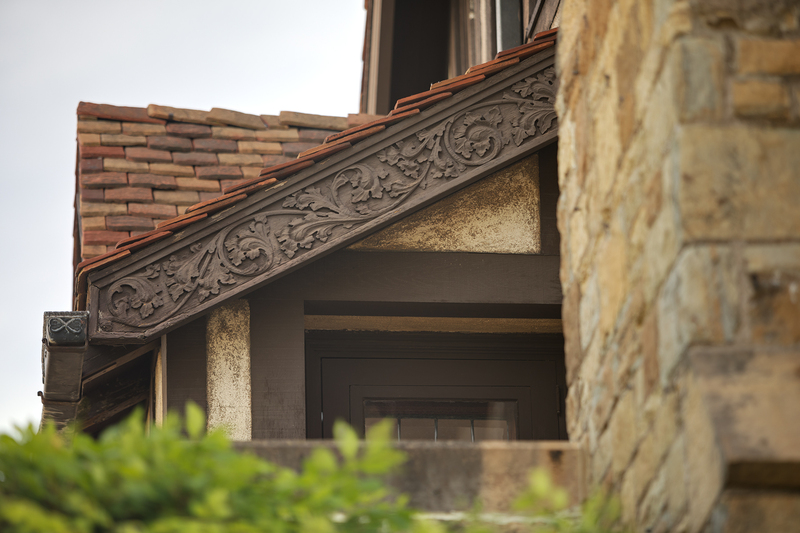 Original exterior architectural details abound, adding a story book element to the home: medieval styled arched entry door, copper gutters with fine details of acorns and hearts, decorative bargeboards, ornamental gables, and leaded glass casement windows. It is the perfect home for a historical minded buyer who appreciates the fine details this home has to offer. The home is currently For Sale and additional photos of the home can be viewed at the property website. Seeking a Realtor® who knows vintage properties? 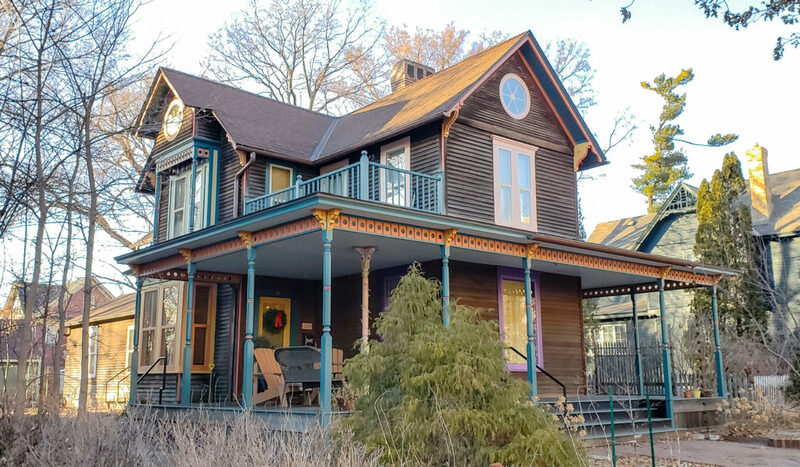 Jennifer Kirby, the premier go-to real estate agent in Minnesota specializing in historic homes now carries the Old Home Certified designation from the Preservation Alliance of Minnesota’s Cornerstone Academy educational program. Of course, Jennifer already specializes in old homes and has helped many Minnesotans realize their dream of selling or buying a historic house. 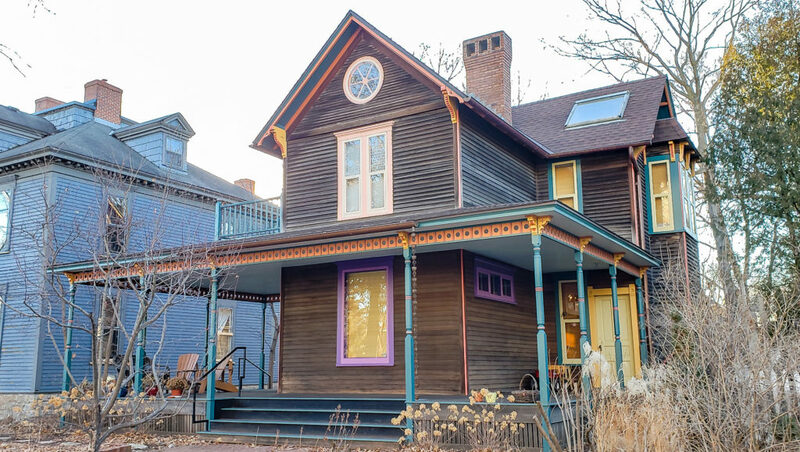 This special designation just further helps deliver key insights and information on Minnesota houses and architecture, old home resources, the history of neighborhood development, sustainability in older homes, historic district details and more. The Old Home Certified course is taught by a variety of experts in their respective fields, with two courses taught by Jennifer herself. While a designation is nice to have, proven sales in historic homes is more important. Concentrating on a niche market means Jennifer is able to concentrate her time on the historic home market in the Twin Cities, the surrounding Metro area, and towns throughout Minnesota. She is more than willing to travel to Greater Minnesota to help home owners sell their unique old home, or to help a buyer not quite sure what to look for when purchasing a home 100+ years old. Looking to sell or buy a historic home? Make your first and only call to Jennifer! 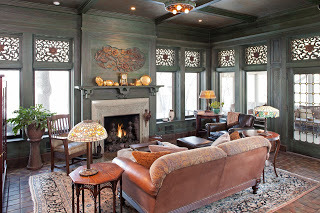 Nestled on top of Lowry Hill in Minneapolis is a beautiful home like none other.Built in 1906, this stunning home was designed for Lawrence Donaldson, who with his brother William, founded the Donaldson Department Store in Minneapolis. 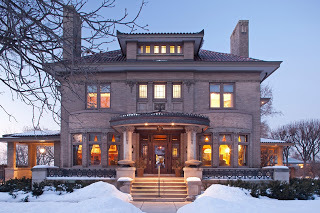 The architectural firm of Kees and Colburn was commissioned to design the family’s residence, known for a number of major works in Minneapolis including the Grain Exchange Building, Donaldson’s Office Building, and the Charles H. Harrington Mansion. They later designed the Loring Theater, the Ford Centre, and The Lowry, to name a few. Constructed mainly of brick, the home is exquisitely detailed with a mixture of several design styles, the most prevalent being Arts & Crafts and Beaux Arts. Subtle design elements throughout the home, linked to Mr. Donaldson’s Scottish heritage, feature the thistle. Probably the most identifiable symbol of all things Scottish, the flower can be found on the facade of the house, the entry columns, above the entry door, on the chimneys, in the living room Tiffany window, and more! Completed sometime in 1907, additional modifications to the home began in 1908 by expanding the north side – a dining room and a second floor bedroom were enlarged, a sleeping porch was added, and the screened-in porch became an enclosed sun room. 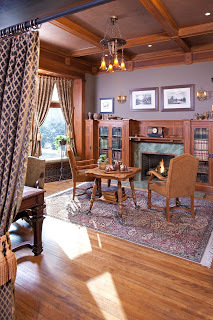 The Donaldson’s also hired well known designer John Bradstreet to create a Japanese inspired Sun Parlor, as well as design the Reception Room/Study off the main foyer. In 1916, the carriage house was completed with four large carriage stalls, a second floor apartment, a number of work rooms, and a connecting tunnel. As happened to many large properties in the Twin Cities as time moved on, the estate was subdivided into six separate lots in 1959 when it was sold by the Donaldson family. After the passing of many decades and multiple owners, the main house was bought by the current owners in 2000, who later that year acquired the original northwest hillside lot extending down to Kenwood Parkway, and in 2001 the carriage house. With three of the six lots reunited, the land totals just over an acre, or 44,792 square feet, representing one of the largest residential properties in Minneapolis. This historic home is also For Sale: www.1712MountCurveAvenue.com. Thankfully the new owners had a vision of restoring the home back to its former splendor. Over the last decade, with love and dedication, some of the highest quality craftsman and artisans were employed to bring the home back to life, while incorporating state of the art technology and modern conveniences for today’s busy lifestyle.